You can still get your Labor Day Pops fix this year when maestro Michael Nowak conducts a 60-musician-strong symphony concert on Sunday, Sept. 6, at the Alex Madonna Expo Center, with special guest Inga Swearingen. This is the concert that almost wasn’t. 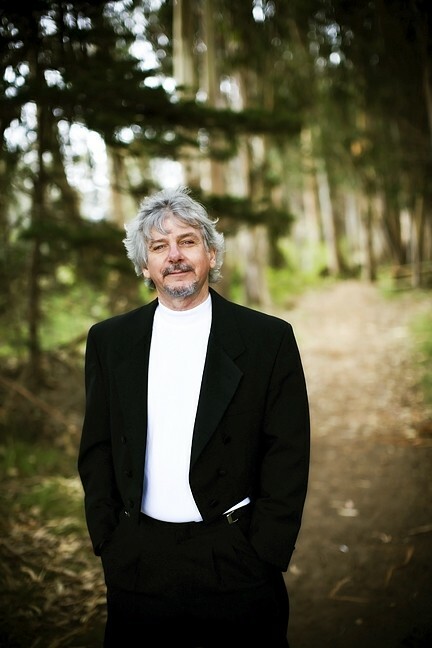 By now, it’s not news that Nowak, after 31 years with the SLO Symphony, had his contract terminated. I can say without reservation that I’ve never seen a rift like this in nearly 25 years of covering the local music scene. LARGE AND IN CHARGE! : Conductor Michael Nowak will direct a Pops concert with a 60-piece symphony on Sept. 6 at Madonna Expo Center. But Nowak is looking forward, not back, and no one—not the symphony board nor Nowak himself—seems interested in getting into the muck of this situation that confounded the public. The real tragedy is that Nowak allowed his Hollywood career doing soundtrack and film scoring work to languish. It’s not yet clear if the Hollywood work will be there for Nowak the way it was when he was working on films such as Life of Pi, August Rush, King Kong, The Kite Runner, and dozens of others. Since he was a contract employee with the symphony drawing a 1099 form, he receives no retirement or pension from them. Luckily, Nowak still has years of creativity left in him. The question is where can he profitably channel it? VOX DELUXE! : Jazz and pop vocalist Inga Swearingen is the special guest at the Labor Day Pops concert on Sept. 6 at Madonna Expo Center. Nowak put the word out to symphony musicians and quickly had 60 eager players on board. “We were off and running, selling sponsorship tables, but the situation sort of stalled and we had to look for another venue,” Nowak said, while crediting Rossi for being instrumental in driving the event forward. “We decided to create a Boston Pops style event at Madonna Expo Center, so it will have a little different look but still give people what they want, which is a Labor Day Pops concert. Expect a program of Scott Joplin, John Williams, songs from Porgy and Bess, and much more, plus a special appearance by vocalist Inga Swearingen. “We’re really excited about that,” Nowak added. Tickets ($35 each or tables of 10 for $350) are available online at labordaypops.com or by calling 441-6688. 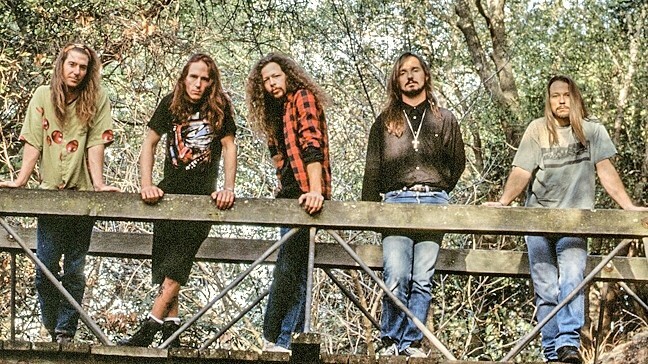 When I started covering music for New Times in 1991, one of the biggest acts in town was Intrinsic, a thrash-metal quintet with a rabid following. Long-haired, handsome, and dangerous—these rock ’n’ roll outlaws already had two releases out: their 1987 self-titled debut and their 1990 EP Distortion of Perspective. They were also hard at work recording Nails, which was to be their magnum opus. THRASHERS! 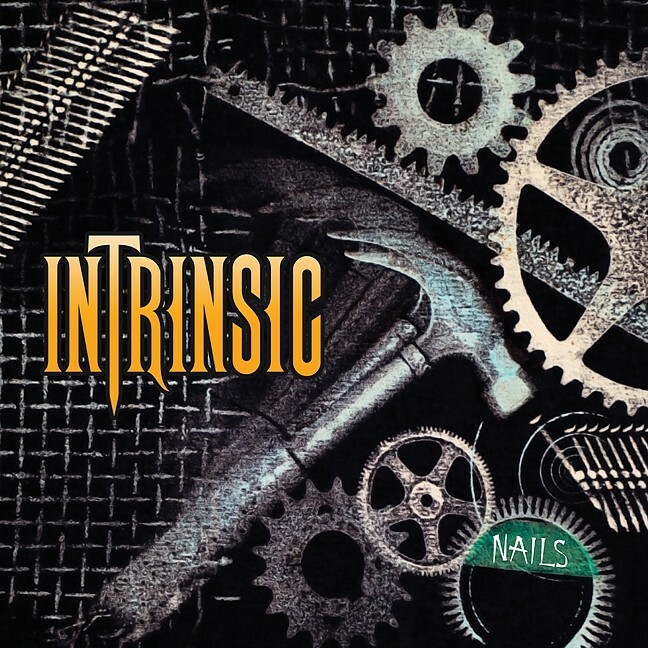 : Long defunct thrash-metal act Intrinsic recently released 'Nails,' a shelved album recorded 25 years ago. That’s right! After 25 years, Intrinsic—a band whose members are now scattered to the wind, all grown up with families and jobs—has released this long lost gem of ’90s metal, which they say will appeal to fans of Forbidden, Heathen, Toxik, Laaz Rockit, and Annihilator. Of course, nothing is as easy as it should be. When the band struck a deal in 2014 with Divebomb Records to finally release Nails, the band discovered that its sole master recording DAT had degraded and was deemed unusable. Divebomb Records packaged Nails as a special edition reissue with a 20-page booklet containing band-supplied archival photos and fliers, full lyrics, and an essay detailing the making of the album. “This is a reissue for the fans, by the fans,” the band added. Timeless! Nails is available at all the usual online locations, but I recommend the nostalgia of buying it the old fashioned way, at Boo Boo Records. Old school, just like this ripping blast-from-the-past band. Rock on! OLD SCHOOL! 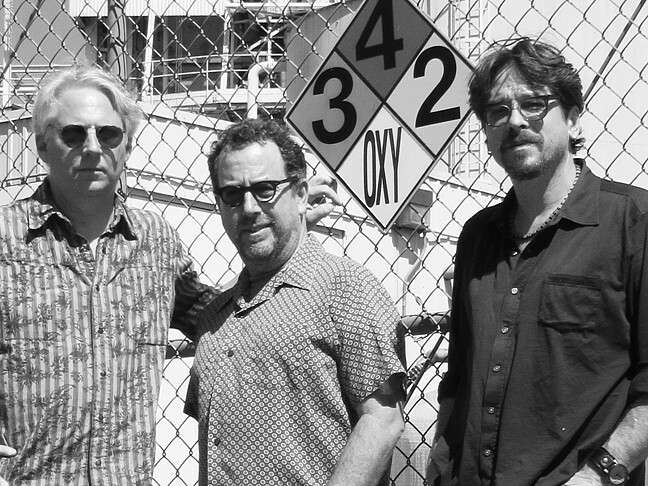 : Boo Boo Records hosts ’70s LA punk heroes The Urinals in a free in-store on Aug. 27. If you missed traveling troubadour Joshua Kloyda on Aug. 26 at the Old Cayucos Tavern, never fear. The acoustic blues singer-songwriter plays Last Stage West this Thursday, Aug. 27, from 6 to 9 p.m.
Good Medicine Presents and Numbskull Productions have another quiet week, but they will bring The T Sisters to Tooth & Nail Winery on Friday, Aug. 28, from 5 to 9 p.m. for a pop-up concert with great music, food, and wine. Siblings Erika, Rachel, and Chloe Tietjen (See why they’re just The “T” Sisters? I don’t know how to pronounce “Tietjen,” either!) were born to harmonize, which is what they do in their mostly original songs “brimming with folksy wisdom and youthful spirit,” according to their bio. Rockers Truth About Seafood brings their award-winning sounds to Concerts in the Plaza this Friday, Aug. 28, at the SLO Mission from 5:30 to 7:30 p.m. Join 2,000 of your closest SLO Town friends! Coalesce Bookstore presents Hawaiian multi-instrumentalist Led Kaapana in concert this Friday, Aug. 28 (7 p.m.; all ages; $25; call 772-2880). 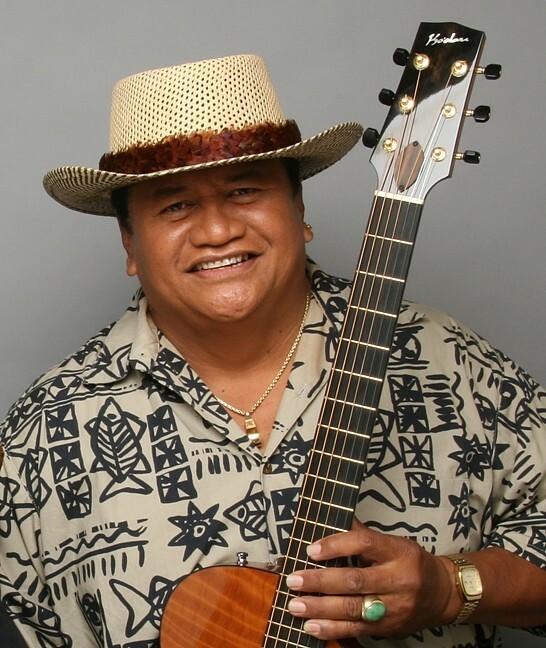 A master of strings instruments such as the slack key guitar and known for both his baritone and falsetto voices, this musical legend has been entertaining audiences for 40 years. Hawaiian slack key guitarist Fran Guidry will open and the Hoapili Pomaika’i Aloha Hula Dancers will join in. ALOHA! : Coalesce Bookstore presents Hawaiian multi-instrumentalist Led Kaapana in concert on Aug. 28. The universe’s best Gypsy, swing, tango, folk, and wild classical ensemble, Café Musique, returns for a concert at Steynberg Gallery this Friday, Aug. 28 (7:30 p.m.; all ages; $20; seating is limited so call 547-0278 and book now). A Café Musique concert is like taking a sonic and emotional tour around the world. I tend to find myself either laughing at their antics or quietly sobbing at their beautiful sound, which is more than anyone should expect from one band. Plus … accordion! The Mother Corn Shuckers play the Sea Pines Barefoot Concerts on the green this Saturday, Aug. 29, with the Turkey Buzzards opening at 2 p.m., followed by the headliners from 3 to 6 p.m. This is a CD release party for their third album, California Grown, which they didn’t send me. I don’t feel the love. The Cal Poly Collegians Alumni Big Band has been coming back to SLO Town for 48 years now, and they’re here again, playing a reunion concert from 7:30 to 10:30 p.m. this Saturday, Aug. 29, in the Madonna Inn Ballroom. The ensemble of about 20 musicians will re-create the swinging sounds of Count Basie, Duke Ellington, Benny Goodman, Glenn Miller, Les Brown, and other big bands of the 1940s through the ’60s—perfect for dancing or listening. The SLO County Jazz Federation presents a Horace Silver Celebration at the Unity Concert Hall on Saturday, Aug. 29, at 7:30 p.m. with San Francisco’s Keith Saunders Trio ($20 general admission; $10 students). This Sunday, Aug. 30, get your hot jazz fix when the Basin Street Regulars hosts another day of Dixieland Jazz at the Pismo Vets Hall from 11 a.m. until 4:30 p.m. Pacific Swing will also perform ($5 for members or $10 for general admission). SHUCK YEAH! : The Mother Corn Shuckers play the Sea Pines Barefoot Concerts on the green on Aug. 29. This Sunday, Aug. 30, at 4 p.m., The First Presbyterian Church (981 Marsh St., SLO) presents The Royal Garden Swing Orchestra in a Jazz Vespers program in Wilson Hall. Enjoy some great Big Band jazz for free, though donations are appreciated. Emily Zisman, an Oakland-based independent folk-Americana artist, may conjure memories of Joni Mitchell or Ani DiFranco. 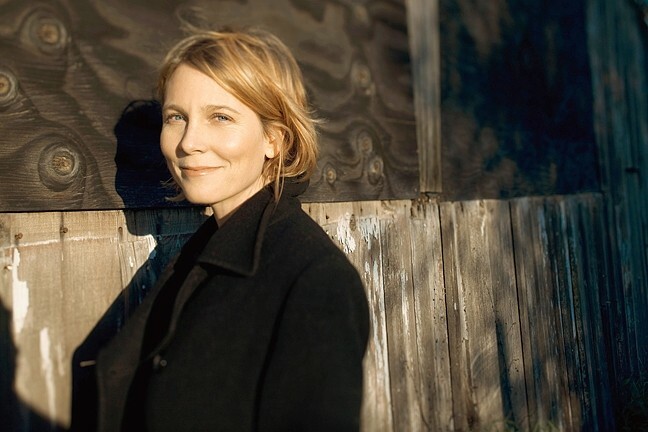 This week she rolls through the area in support of her latest album, Weeds & Wildflowers, making a stop at Sculpterra Winery on Sunday, Aug. 30, between 1 and 4 p.m. as part of the Songwriters at Play showcase; and later that night from 7 to 10 p.m. at Otter Rock Café.